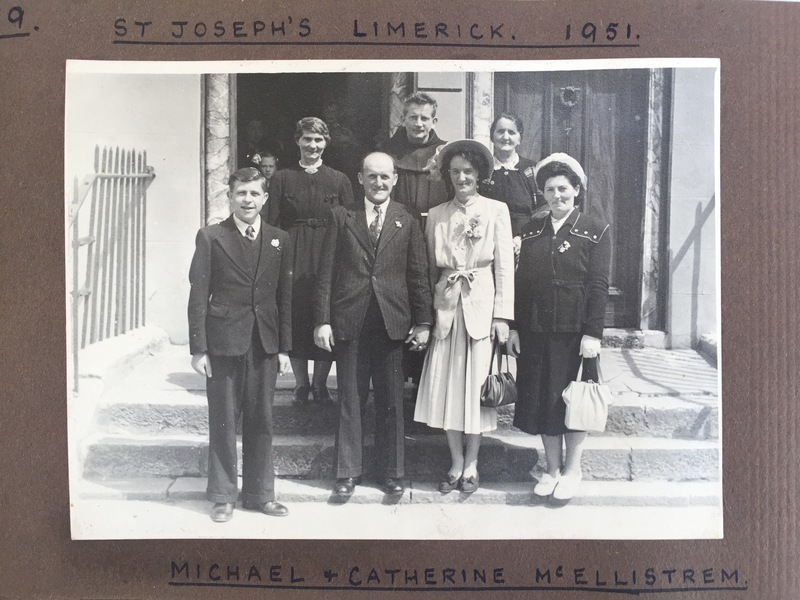 Marriage of Michael McEllistrem to Catherine Kennelly, 1950 (NOT 1951), St.Joseph's church, Limerick. From Mary McGrath. In Fitzgerald photos. 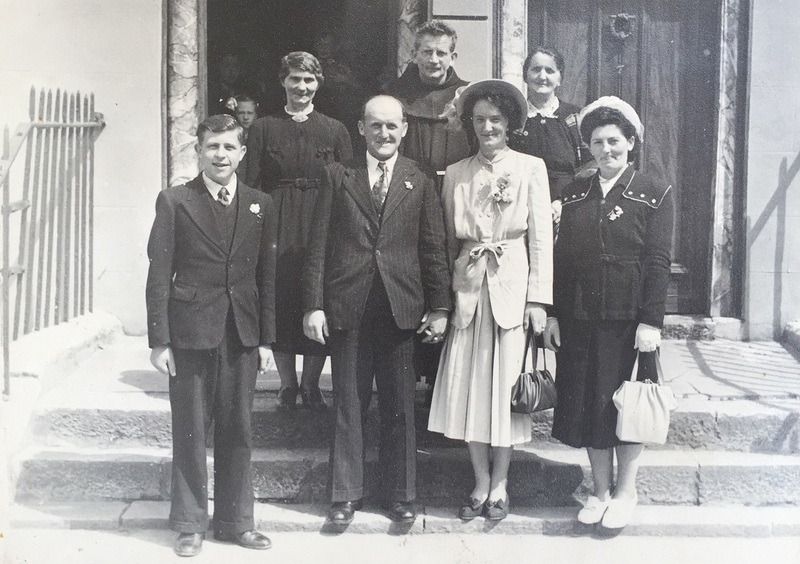 They were married by Fr. Dermot Fitzgerald. Think he is in back centre. Maurice McEllistrem, mar Patricia Walsh.